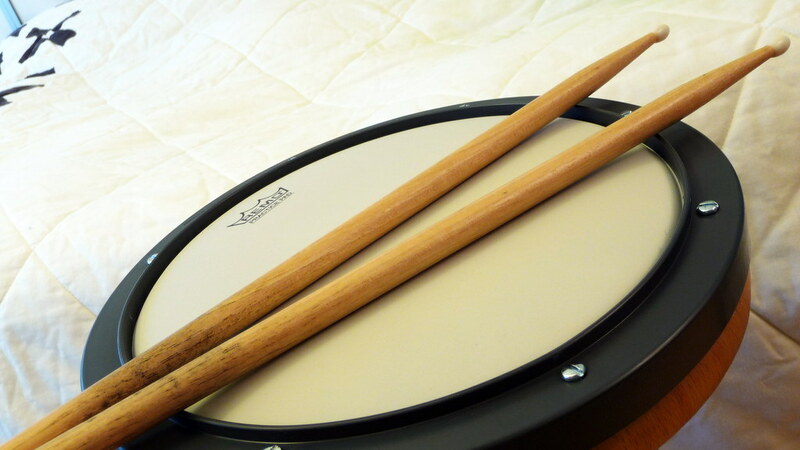 For anyone who enjoys the drumming, having the best drum practice pad comes in very handy when your drum set is not available (if you’re on vacation, for example) and you want to hit something that was made to be hit (unlike the furniture), but it is no substitute for a drum kit. Drum practice pad also an excellent tool If you just want to play in the marching or concert bands at school (which I think you should), a pad is perfect to practice your parts if you’re just playing the snare drum part. The first practice pad on our list is the Drumeo P4 Practice Pad, We are taking a something from drumeo, now you need to know that drumeo is just one of the few companies that are known by world renowned drummer and educator.the only practice pad in the market with four different playing surfaces that provide unique feels and responses, on three elevated levels to simulate actual drum-set movement. Blue surface is the standard gum rubber material. Moving up to the next level, there is a harder neoprene black surface. that feels more responsive than the gum rubber and is meant to emulate a tighter hi-tom. To the right, there is a white surface that is meant to feel more like a floor tom, or a less responsive drum (and the quietest surface for playing at morning or night). The next up,RealFeel is just one of the companies that have perfected the practice pads, their practice pads by evans have been around for years, and the evans series is known for being one of the best. 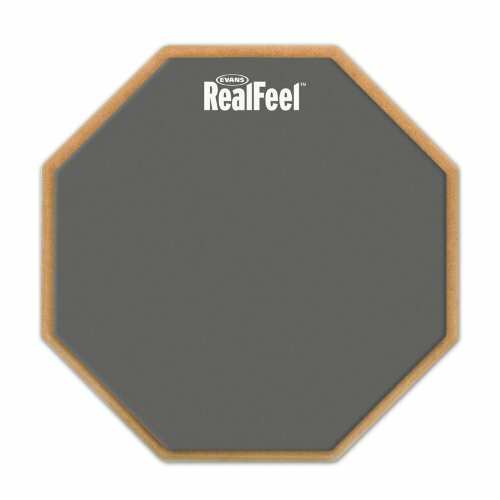 RealFeel pads are the most popular practice pad option available.it comes with a large playing surface, designed to fit in a standard snare basket.beautiful quality gum and recycled rubber on either side.This pad is built to take a beating, too, and won’t wear out even if used for daily practice. 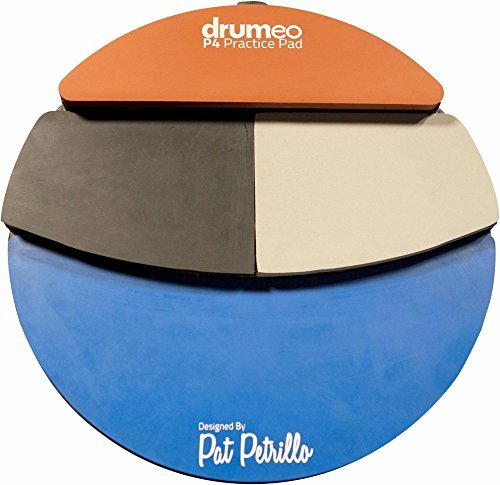 Bar none, this is one of the best drum practice pads you can buy. Although Evans 2-Sided Practice Pad more expensive than some comparative products, it is made from very durable and realistic feeling materials. 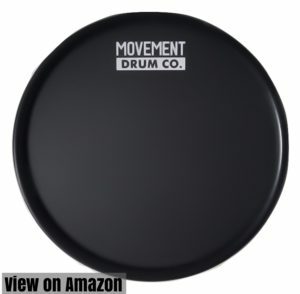 If you’re looking for a practice pad that feels more quieter, check out the Offworld Percussion Invader.it is the best marching percussion practice pad. Thank to Offworld Percussion Invader thousand of roommates and parents ears has been saved. 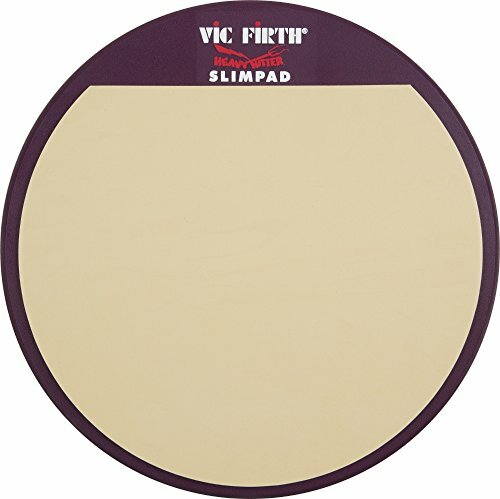 This pad gives the player a more accurate feel of a snare drum or marching tenor/bass drum.very thin rubber mounted on a sturdy wooden base gives the feel of a contemporary marching snare drum. Maximize practice time and avoid developing bad drumming habits, perfect choice for players of all levels and musical styles! it’s remarkably quiet, so you should be able to work any time of day without disturbing your neighbors or roommates. If you like to practice your skills all the time, no matter where you are. Ultra Portable Practice Pad gives you the ability to work on your handling and control wherever you go,Because the pad is so small, you can take it with you in your bag and pull it out whenever you want. What makes this pad so amazing is that it has a sticky side, sticks to almost any surface. Easy to clean and water resistant. So, there you have it, folks! 4 of the best drum practice pad tried and tested in order to help you make the best possible decision. Now you should keep in mind that finding a winner wasn’t easy, however, the practice pad that managed to stand out was none other than the Drumeo P4 Practice Pad. Thanks to the amazing playing surfaces that simulate the feel of different drums or cymbals, brilliant responses, and overall great comfort across the board, choosing the Drumeo P4 Practice Pad. as our favorite pick wasn’t really a difficult decision. We hope the list helped you as much as it was intended to. In case you feel that we left out some other great wireless earbuds, feel free to let us know.